Other Common Names: Locust bean, St. John’s bread. 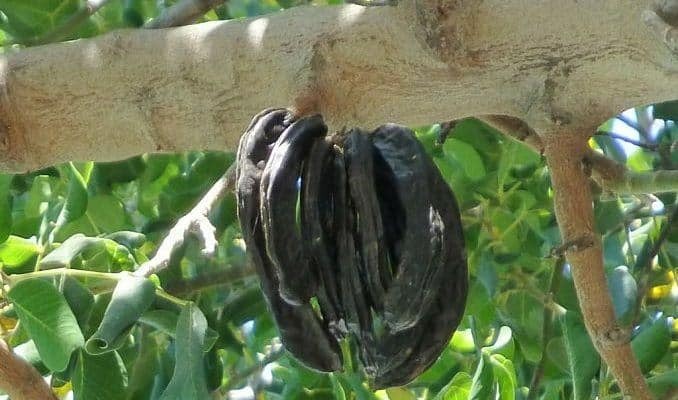 The fruit of the carob tree are called pods, brown in color, and take a year to ripen. It is said that the pods of the carob tree sustained the biblical figure John the Baptist while he was praying in the desert. Hence it is also known as St. John’s bread. 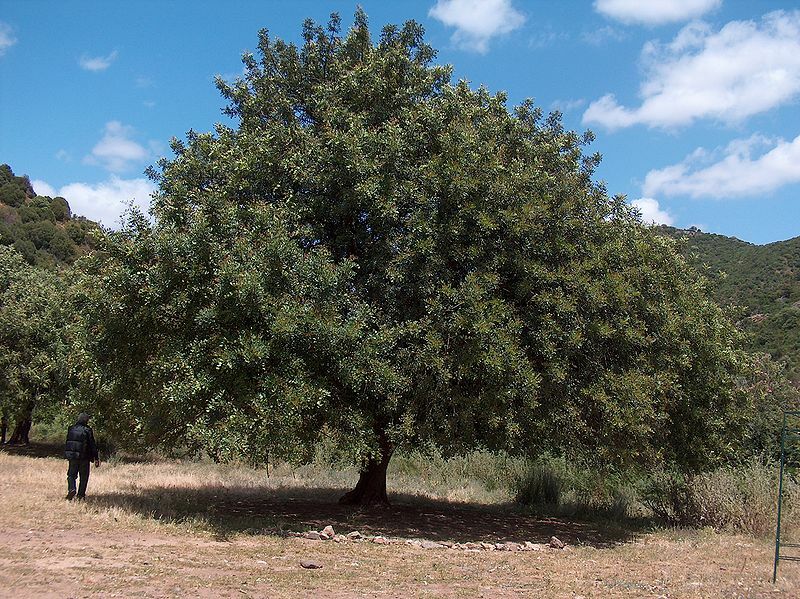 Because of the high pectin and tannin content of the carob pods, it has been used as an herbal remedy for diarrhea. The tannins which are carbohydrates and plant pigments have antioxidant and antibacterial properties. Additionally, the tannins retain water and act as a binding agent resulting in firmer stools. Further traditional uses of the pods include remedies for intestinal worms, poor eyesight, and eye infections. Carob beans are a popular substitute for cocoa. They contain fewer calories, are caffeine-free and non-addictive. Also, they do not interfere with the body’s assimilation of calcium, unlike cocoa and chocolate. It should always be taken with plenty of water. 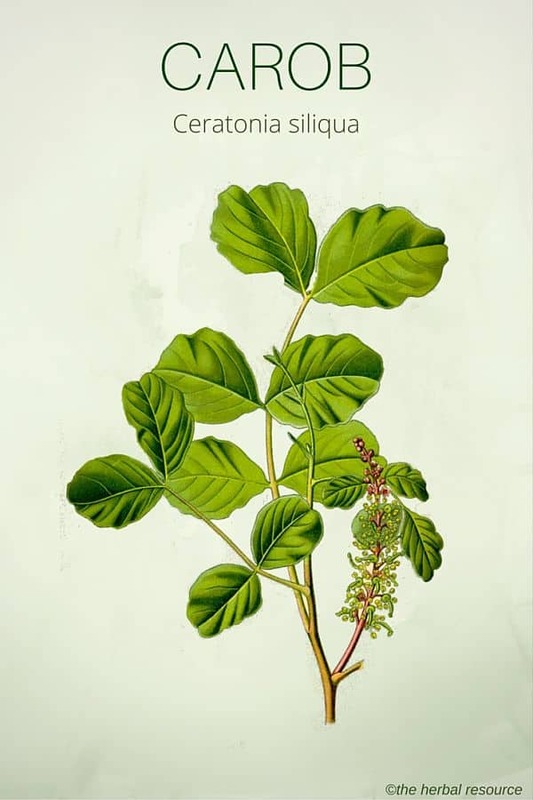 Williamson, Elisabeth M.: Potter’s Herbal Cyclopaedia. Essex. Saffron Walden 2003. 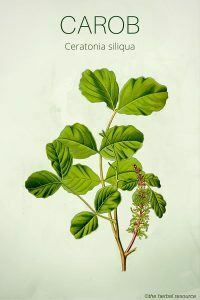 Chiej, Roberto: Encyclopaedia of Medicinal Plants. Little, Brown 1984. G. Usher: A Dictionary of Plants Used by Man. London. Constable and Company Ltd 1974. Hedrick, U.P., Editor: Sturtevant’s Edible Plants of the World. New York. Dover Publications Inc 1972.